Our company was established on the principle of constructing high-quality structures for your home. The founders of our business are experts in their field, each having years of experience under their belts. We offer all of our construction services to residents living in Louisville, KY and area. Our ultimate goal is to provide our clients in the Louisville, KY and area with the best customer service available in the deck construction business. Customer service is a very important aspect when it comes to the construction industry. We’re available any time of day to help you with your construction needs. 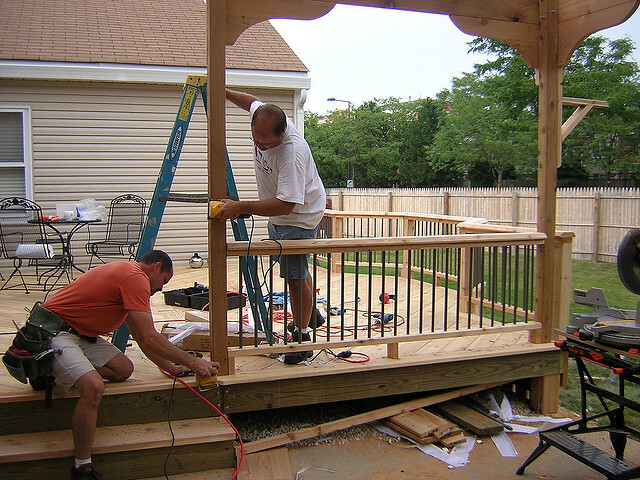 Our services will help you build and repair your deck structure when you need it. We also provide assistance with the design process. We answer any questions you may have and help gather your thoughts to make the final product exactly what you want. We’ll also take into consideration any used landscape you have, lawn shaping plans, and any possible future expansion. We’re happy to accommodate you, whether it’s before construction starts, during, or after the project is complete. While we’re a relatively small business, we strive to go above and beyond to make each of our customers feel special. Every member of our team is extremely hands-on, allowing us to build trusting relationships with all of our clients. We promise to deliver top-notch customer service every time. Our company has been solely dedicated to decks from the start. 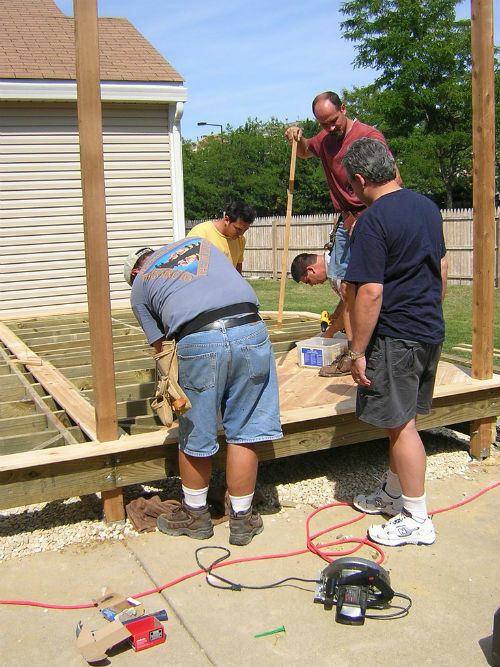 We concentrate every effort into providing high-quality deck design and construction services. We have built countless decks for homeowners over the years. When you hire us to work on your structure, we don’t treat it as a side project. It is our main effort when we come to your home. We build your structure from materials that are easy to maintain and allow you to use your deck year-round in Louisville. We can design your outdoor living space so that it feels like a natural extension to your home, not an out-of-place add-on. Since we specialize only in decks, we’re able to accurately price the cost of your project. When you hire us, we come to your home, assess your design and space, and give you an accurate estimate. We also work with our clients to help them fit their project into their budget, furthering our customer service-oriented brand. When you choose us, you’re choosing a team who will work with you to get reasonable prices. Our team is made up of company-employed contractors and carpenters on all of our jobs. The professionals that we employ strive to finish projects in a reasonable timeframe. Each of our contractors is properly screened to ensure that they’re qualified and capable of delivering top-quality construction. You can be assured that each day the project supervisor will be there to ensure that the project is progressing well and address any questions you may have. If you need a deck constructed or serviced in Louisville, KY or the surrounding area, then we can help. Call or contact us today to find out more information and arrange for a free estimate.